Looking for a fun, unique experience for your child this summer? We offer a wide range of action-packed, memorable summer camps for kids with a variety of interests. These popular programs fill up FAST, so register today! For more information about any Adventures in Nature programs, please call the Great Swamp OEC at 973.635.6629. 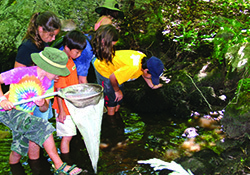 Introduce your kids to the nature camp experience. Little campers, accompanied by an adult, explore the trails, and learn about a variety of natural history topics with stories, games, walks, and crafts! Ages: 2 - 4 with an adult. Great Swamp OEC, Chatham Twp. Pyramid Mountain NHA, Montville Twp. Youngsters experience the natural world with all five senses, and discover how animals use their senses to survive. Cost: $200/camper per week ($160 for week of July 1). Campers enjoy a week of drawing, journaling, painting, and crafts with the natural world as inspiration. Kids create masterpieces, and learn about wildlife and habitats at the same time. NEW! Theather in the Woods! Explore nature through theater and musical performance. Campers are introduced to various means of storytelling followed by the creation of their own songs, set, costumes, and script as they write and produce their own nature-themed play. Camp also includes hikes and games. The week concludes with a performance of their masterpiece. August 26 - 30 - 5 Spots Left! Could you survive in the wilds of NJ? Nature provides for our basic needs, and kids learn orienteering, shelter-building, wild edible plants, animal tracking, and more. The last day features a mini backpacking and a picnic adventure at another park. July 29 - August 2 - 3 SPOTS LEFT! Cost: $220/camper per week ($175 for week of July 1). 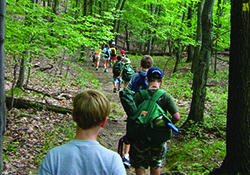 Spend each day of camp on a different adventure around northern New Jersey. Swim in a lake, hike the trails, learn to canoe, and more. Finish the week with a campfire and marshmallow treats! July 15 - 19 - 6 SPOTS LEFT! August 19 - 23 - 7 SPOTS LEFT! Teenagers who enjoy the outdoors and working with young children can gain resume-building experience and knowledge by becoming CITs! For two weeks, CITs work with campers and are mentored and trained by camp staff. Training topics include natural history, how to work with children, and a final leadership project. Interested teens need to complete an application and submit a letter of recommendation. Upon completion, CITs receive a certificate detailing their hours of service. For more information, please call 973.631.5004. Grades K - 6: Hands-on gardening at The Frelinghuysen Arboretum in Morris Township is the perfect way for kids to get outside and get growing. Guided by instructors, campers plant and tend to their own gardens, harvest an abundance of fresh produce and flowers, participate in crafts and activities related to their gardens, and best of all, taste and prepare the fruits of their labors. Register for spring, summer, and/or fall sessions. Time: 9 a.m. - 12 noon. 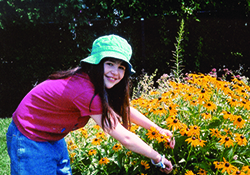 Middle School Session Grades 6-8: Middle school students who enjoy the outdoors, gardening, and working with young children explore their inner green thumb. Over the course of the spring and summer, gardeners collaboratively design, plan, and work in their own gardens, and then share that knowledge while working with younger “Branching Out!” gardeners. Campers are trained and instructed by horticulture staff in both horticultural knowledge and working with younger children successfully. For more information and to register, please call 973.631.5004. The fairies are coming to the Frelinghuysen Arboretum - can you help us get ready for them? Learn which flowers to plant in your garden to attract fairies, create beautiful crowns, wands, and toy fairies, go on nature walks to find signs of fairies, and even make a fairy house to welcome the summer fairies to the Arboretum. Using a variety of materials and media, campers create a different piece of art using the gardens as inspiration, each week. 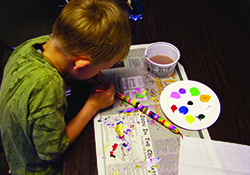 Time: 1 p.m.– 3 p.m.
Campers explore various styles of art each week inspired by the beauty of the gardens. Junior cooks experience trowel-to-table with this eight-week vegetable prep and cooking workshop focusing each week on what is available from the garden, as well as different cooking techniques and skills. If you are looking for an adventurous, fun-filled, outdoor camp, then look no further than Camp Sunrise Lake! New activities include outdoor skills, science, and ecology, as well as the traditional program of hiking, swimming, boating, arts and crafts, and much more. In the morning, campers experience days filled with new adventures and age-appropriate activities. Campers spend the afternoons at Sunrise Lake Beach Club zooming down inflatable water slides, swimming, boating, and enjoying the Wibit. Each week is limited to 50 Campers & 16 CITs. July 8 - 12 - SOLD OUT! July 15 - 19 - SOLD OUT! July 22 - 26 - SOLD OUT! 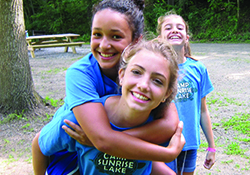 Camp Sunrise Lake offers a new program allowing your camper to start camp as early as 8:15 a.m. This program is designed to accommodate the busy schedule of parents and give Camp Sunrise Lake campers an extra boost of fun in the morning! 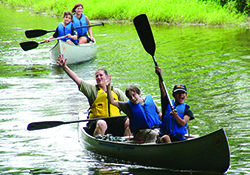 The CIT (Campers in Transition) Program provides the older campers a unique opportunity to enjoy camp while learning about helpfulness and responsibility. CITs will work closely with staff and counselors, learning how to become great leaders and role models beyond Camp Sunrise Lake. This year, there are a few changes to the program that will entrust the CITs with more responsibility and more freedom. CITs will now instruct and lead activities throughout the day and partake in CIT-only training and activities. Each week is limited to 16 CITs. July 8 - 12 - 4 CIT SPOTS LEFT! For more information, please contact Mennen Sports Arena at 973.326.7651. 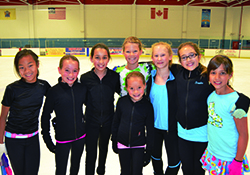 Register for an exciting nine-week summer Figure Skating Camp for intermediate thru advanced levels of skaters at William G. Mennen Sports Arena in Morris Township. Children through adults have an opportunity to develop skills and have fun! This exceptional camp is flexible for all campers, and there are many options available. Skaters can choose the number of weeks and lunch options. The on-ice portion of the camp allows skaters to develop their skills and progress to the next level. Sessions include: Power Stroking, Creative Footwork, Jumps, Spins, Moves, Ice Dancing, and Artistry in Motion. The off-ice sessions include: Ballet, Pilates, Strength, Core and Flexibility. Private lessons are encouraged and available upon request for both on and off-ice sessions. 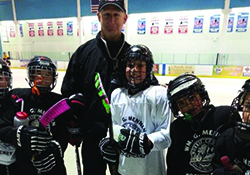 Mennen also offers specialized clinics taught by its elite coaching staff. Camp costs and times vary. For more information and/or to register, please contact Alexsandra Gizzi at agizzi@morriparks.net or 973.631.5022. Travel to the past, and join the Apprentice Guild! 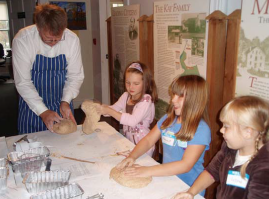 Campers have the opportunity to ‘apprentice’ at Fosterfields Living Historical Farm, the Cooper Gristmill, and Historic Speedwell to experience the jobs that were done in the 19th and 20th centuries. Your camper, along with trained museum staff, goes back in time to learn about historical careers throughout three different time periods. Camps Visit All Three Locations: Historic Speedwell, Morristown, Fosterfields Living Historical Farm, Morris Twp. and Cooper Gristmill, Chester Twp. 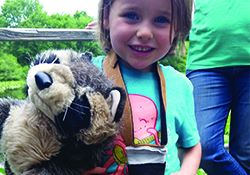 Time: 9:30 a.m. - 4 p.m.
Campers will love this NEW Critters and Crawlers Farm Camp! 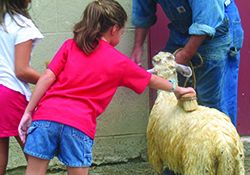 Help take care of the farm animals, and learn how the critters contribute to the farm. Discover how many different insects work to benefit both the farm and the environment. Assist in making something to further help your farmyard friends! Fosterfields Living Historical Farm, Morris Twp. Come to Fosterfields Living Historical Farm, and learn how things were done the old fashioned way! Participate in daily life on the farm through hands-on activities with the farmers, and prepare treats using ingredients from our gardens. Play games, create farm crafts, and build a project to take home at the end of the week. William G. Mennen Sports Arena in Morris Township presents its 44th Annual Summer Hockey School. This camp focuses on skating and fundamental hockey skills including balance, agility, and acceleration, the use of edges, puck handling, passing, and shooting. The goal of this camp is to lift the player to a more competitive level so they can have a lifetime of fun enjoying the great game of ice hockey. What makes this Hockey Camp so special is that the coaching staff is comprised of some of the top high school and prep programs in the east. Staff includes, Rich McLaughlin, Head Coach Randolph High School; Brendon Herr, Head Coach Chatham High School, Jennifer Perry, Power Skating Instructor; and Mike Valvano, Goalie Coach. For more information on dates and fees, please visit morriscountygolfcourses.com. 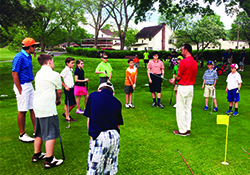 With the Junior Golf Clinic for Player Development and the Intermediate Junior Golf Clinic, campers put themselves to the test with hands-on development and course play. Campers receive instructions in putting, chipping, driving, rules, score-keeping, etiquette, and on-course playing instruction. Cost: $295/camper per week;$565/Two Students per family per week. For information and/or to register, visit morrisparkpolice.org. Registration begins in late spring. Check out last year's graduation video here! The annual Junior Police Academy is an extremely popular summer camp that provides boys and girls lessons in police practices and the training involved in becoming a police officer. 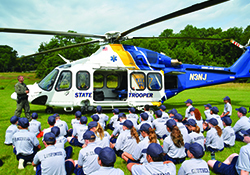 During this five-day program, activities include physical training, detective work, handcuffing techniques, motor vehicle stops, and a tour of the county jail. Special guests have included the Mounted Unit, Sheriff’s Office, and other State and Federal Law enforcement agencies. Each recruit receives a hat, t-shirt, gym shorts, and bag. Upon completion of the Academy, recruits participate in a graduation ceremony and earn an honorary Junior Police Academy certificate. Class size is limited to 50 participants. Children have an opportunity to develop skating skills and have fun! Skaters can choose between 3 and 5-day options. The on-ice portion of the camp helps skaters develop their skills and progress to the next level. 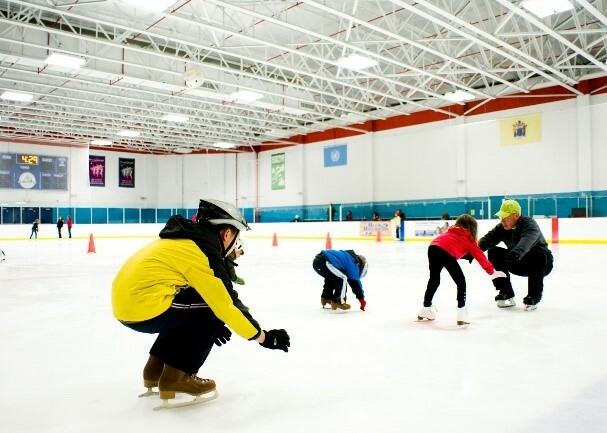 Skaters receive 2 hours of ice time, 30 minutes of group instruction, and 15 minutes of private instruction from one of the professional instructors daily. They also participate in daily off-ice training for Strength, Core and Flexibility. Skate rentals are available for $3 per day. Optional before care is an option for any campers who need to be dropped off early. No prior skating experience necessary. Time: 10 a.m. - 3:15 p.m. Cost: $210/skater per 3-day session; $275/skater per 5-day session.